Kids are measured when they arrive and get a bracelet so they know what rides they can go on in the park’s main areas. Parents are encouraged to look at height restrictions before they arrive so they know what their kids can ride, said park spokesperson Heather Austin. 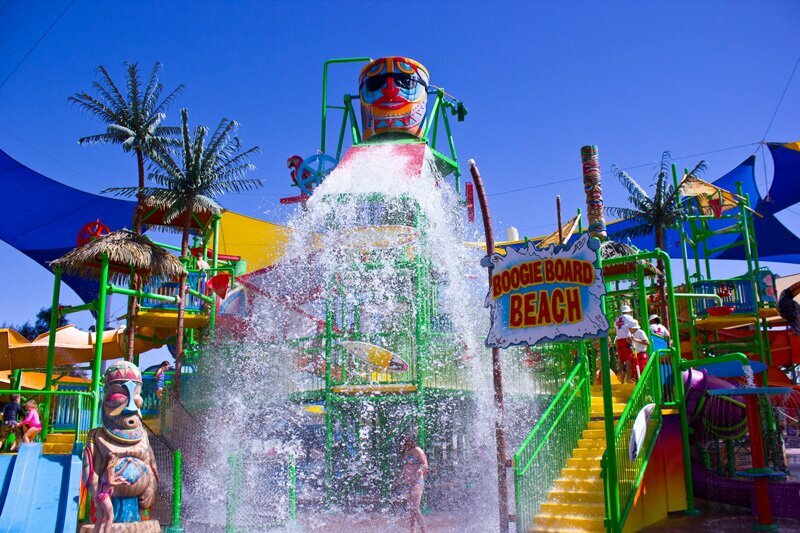 Includes Mammoth Falls, Maximum Velocity, Constrictor, and five other thrill rides for those over 42 or 48 inches tall. 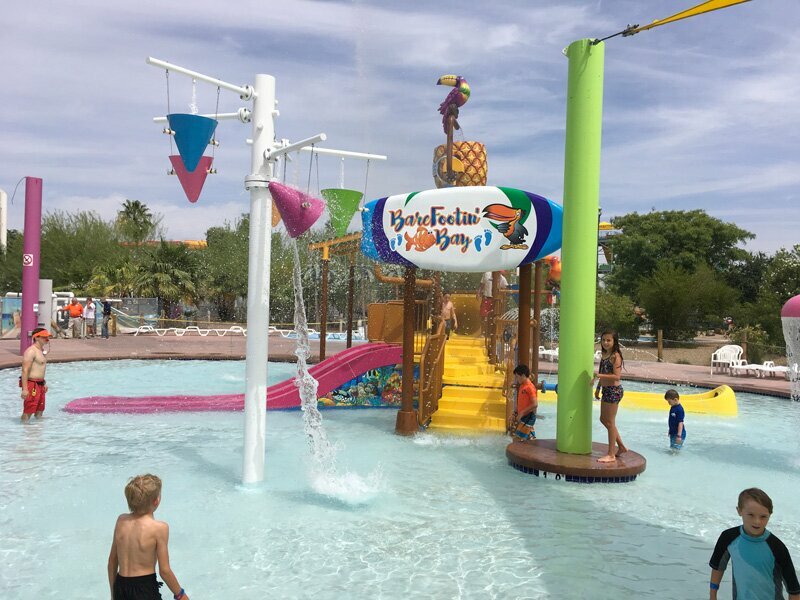 This large play structure has water sprayers around it that little kids can play in (such as Soak ’em Playground) but most little kids hang out in Wet ‘n’ Wild Jr. and the new Barefootin’ Bay play area. 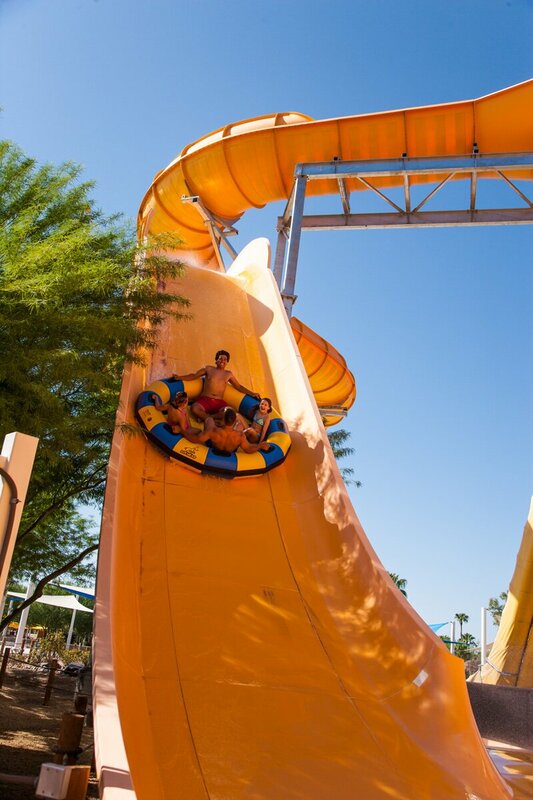 They have two sets of slides there for riders 44 inches tall. The play structure and tipping bucket at Boogie Board Beach. 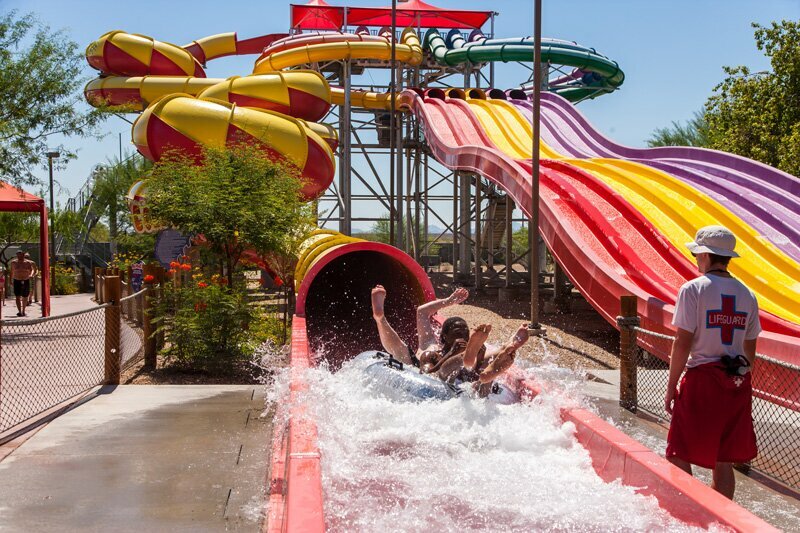 There are three rides that kids must be at least 36 inches tall to ride: Tiny Typhoon, Banzai Racers and Screamin’ Streamers. 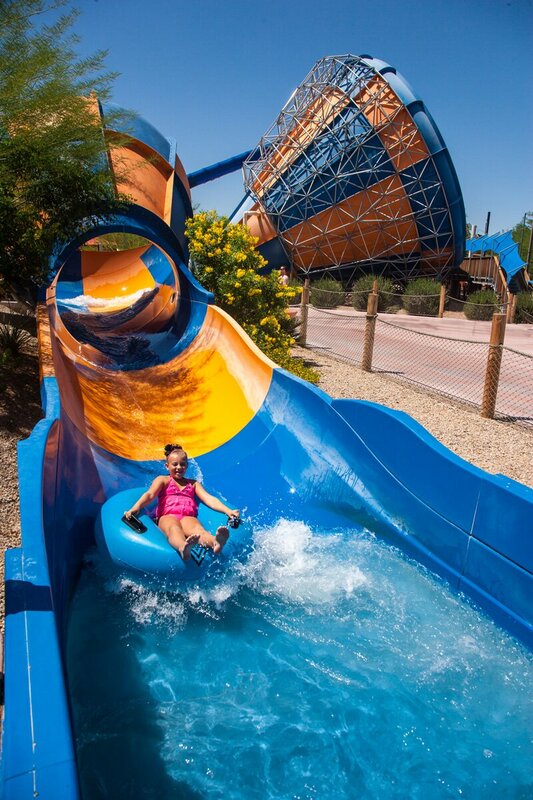 New in 2017 is Barefootin’ Bay, a section within Wet ’n’ Wild Jr. that’s aimed at babies and toddlers. It offers new areas of shade and seating for parents and is open for all ages (there are no height restrictions for these slides). The area has “been a big hit with babies, toddlers and kids from 1- 8,” Austin said. New in 2017: Barefootin’ Bay is just for the littlest kids. 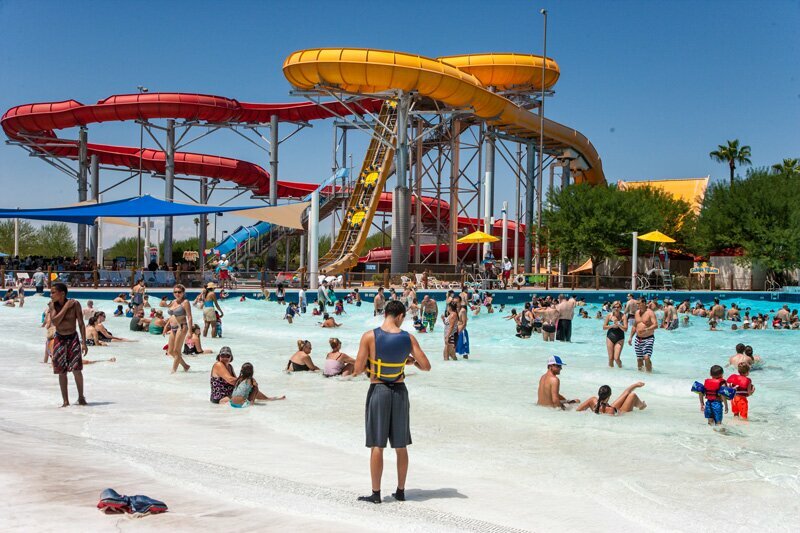 The Tiny Typhoon in Wet ‘n’ Wild Jr.
All ages can play in the wave pool and go down the lazy river, but weak swimmers are asked to wear lifejacket, provided by the park at no cost.